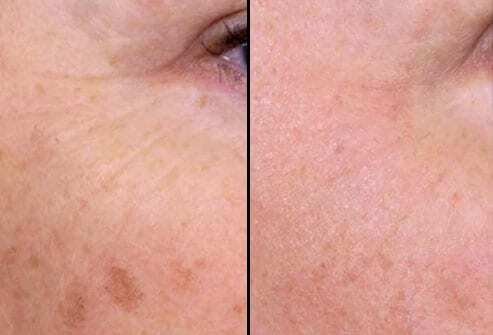 The Spectrum Intense Pulsed Light for skin rejuvenation delivers a non-invasive light treatment for hyperpigmentation and redness from sun damage and other environmental factors. The treatment can also be used for acne clearance and telangiectasia and can be customized for different skin types and ethnic backgrounds. Highly effective for the evening out skin tone and discoloration. This is skin rejuvenation with light that treats the signs of aging and sun damage such as excessive redness and fine-line wrinkles by producing new collagen. There is very little discomfort during and after treatment, with few side effects.This is a new approach to treating benign pigmented and vascular lesions of the skin, mostly associated with aging and sun damage. Discomfort is normally mild and following treatment, dark spots and redness fade within two to three weeks. This procedure engages a combination of laser and intense pulse light treatments to improve skin texture, reduce pore size, minimize wrinkles, conceal broken capillaries and remove brown spots caused by sun damage. 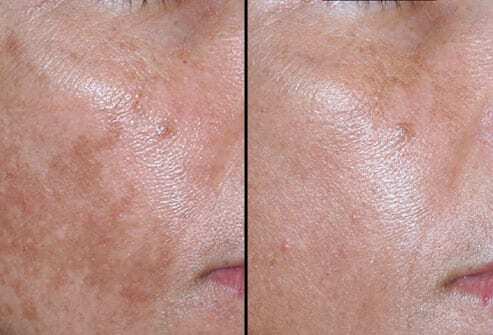 The pulse light treatment works by heating up the outer layers of the skin with a light wavelength that targets hyperpigmentation and redness. Immediately following treatment, brown spots will start to darken and your skin may appear slightly red. The treated area may be mildly swollen. This typically lasts a few hours and possibly a day or longer. Makeup can be applied to cover the redness. The brown spots will look dark and a bit like coffee grounds before finally sloughing off. When the pulse of light is delivered, patients will experience a mild pinching or stinging sensation. A gel is recommended to cool the skin before vascular treatments. New brown spots, telangiectasia, and diffuse redness may appear with new sun damage; however, they too can be treated. Remember to always apply broad-spectrum sunscreen when outdoors to minimize sun damage and the appearance of new spots and diffuse redness. Ask your dermatologist if Rosacea can be treated with light therapy. The condition is chronic and cannot be “cured” with any laser or light source, however, its appearance can be greatly improved.